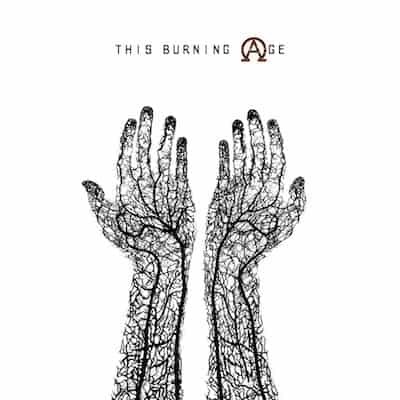 This is the latest EP by This Burning Age, a new(ish) band from Birmingham currently releasing a cycle of four EPs in 2014, ‘Devotion’ being number 2. Initial feelings gravitate towards an electronic band sitting on the pretty side of the Nine Inch Nails sound, combining slick haunting synth melodies with heavy overdriven guitar tones. Rather than shifting towards a focus on the programmed beats as seems more popular at the moment in electronic music, the focus here is based mainly on the traditional hard rock drum/bass/guitar/vocal combination, with the synth interspersed to add drama to the mix. Anyone expecting heavy metal elements or harsher dance/EDM sounds can look away now, it isn’t here. We begin with the tongue twister title track, “there is no hope except the hope that you give me”. What is immediately striking is the impressiveness of the vocal delivery, with a wonderful unique style and harmonising perfectly with both the synth in the quieter moments and ramping up to an aggressive snarl (but no metal screaming/grunting) to complement the guitar and drums for the heavier moments. Around the 2:46 mark the harmony between the vocal overlying is sublime, holding the vocal note perfectly whilst the drums explode with life in the background. It combines for a very powerful climax to the first of three songs. 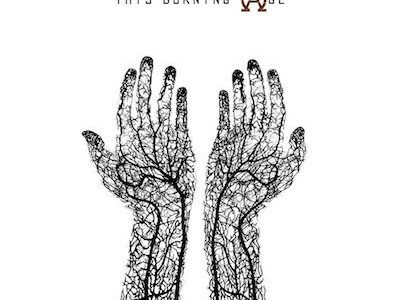 The second track is titled ‘Hollow,’ which is incredibly apt. Somewhat more melancholy than the first track, this is where the post-punk elements really take root and show the more bleeding edge of this band. Like an updated Joy Division, synth and stripped back guitar sounds are combined with wailing, pain filled vocals to present an atmosphere of hopelessness and despair. From the first minor key piano note to when the final synth sound draws to a close, the homage to the post-punk and goth genre is painfully obvious. Whilst it’s a good track and well composed, it doesn’t really fit within the more overarching hard rock stylings of tracks one and three. Track three, entitled ‘Nothing’ is for us the stand out track on this EP. After the eerie beginnings comes the distortion filled mess of a sound that Kyuss built their career on, and we absolutely love it. Closer to a standard hard rock song than anything previously, this sounds like a jumped up more hyperactive Tool, which is a comment we don’t make lightly. Lyrical content for us, is controversial. Maybe cynicism is beginning to creep in, but lyrics involving depression and unrequited/forlorn love has become such a mainstay of the electronic genre that it is becoming increasingly difficult to feel any emotional depth towards the content. Obviously it is hard to build any sort of emotional weight in the short 11 minutes of this EP, but we would love to see someone tackle other themes involving negative emotions, or take the usual stock themes and twist them. Hell, just do something! ‘Devotion’ is a strong EP showing genuine promise, and is certainly something that can be built upon with future releases.